Therefore fundamental question in issues like user is complaining that the workbook that worked in one version of the Excel doesn’t work in other is to check in what version of the Excel the workbook was created. 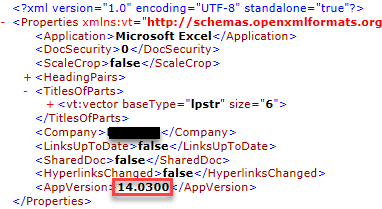 One way to find out that would be to have a look to extension of the Excel file. 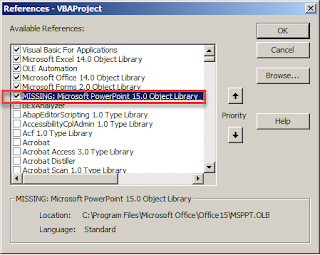 Up to version 2017 the Excel used only proprietary binary format – extension XLS. 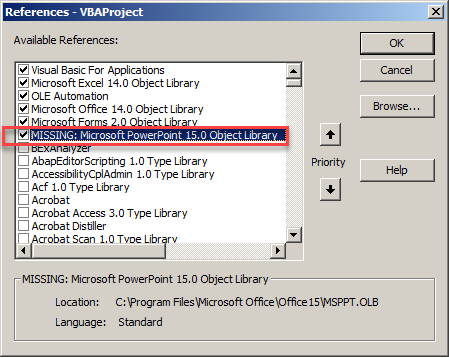 Afterwards it also uses Office Open XML as its primary file format – it has extension XLSM (or XLSX). These files are just a ZIP files with folder structure and several XML files. One of the XML files has in information about the version which was used to produce the file. The XLSM file just needs to be temporarily renamed to ZIP and in the folder called docProps a file called app.xml has to be displayed. In the XML element called the version is stored.